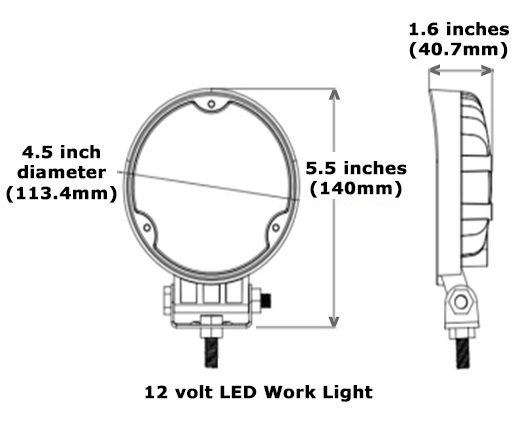 Round LED deck light / LED work light offers bright light where needed. IP 65 rated - Learn about ip ratings at wikipedia. 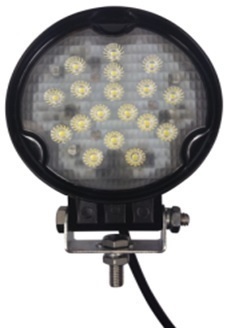 Constructed of die-cast aluminum ADC-12, this LED work light offers the ability to adjust to position and tighten in place. Poly-carbonate lens with beam angle of 36 degrees. Includes 316 stainless steel mounting bracket and hardware. 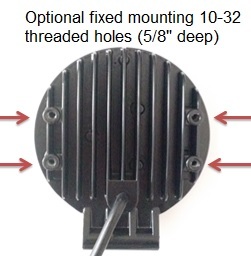 May alternatively be fixed mounted using the 4 x 10-32 (5/8" deep) threaded holes on back of unit. (fix mount screws not included). See picture.